Google has finally brought in some competition in the smart speaker space, which has been dominated by Amazon in India. At an event held in New Delhi, Google launched its second generation Google Home and Home Mini smart speakers in India for Rs 9,999 and Rs 4,999 and they will start selling from 10 April onwards. After the Chromecast streaming unit, Daydream headsets and the Pixel smartphones, this is another category of hardware that Google has brought to India. The smart speaker space is quite nascent in India with only Amazon offering competition with its Echo lineup of speakers, which have been selling since November last year. Google Home will be competing with Amazon Echo. It comes in a cylindrical form factor measuring 233.4 x 96.3 x 142.7 mm in dimensions. The base comes with a fabric cover, which can come in different colours, and you can customise it according to your preference. The top portion is white in colour. On the sloping top edge, you have two microphones. It weighs in at 477 grams. On removing the gray coloured fabric cover, you see the internals of the Google Home, which comprises two 2-inch drivers and two 2-inch passive radiators. It supports 802.11 b/g/n/ac Wi-Fi. Four coloured LEDs and white-coloured LED rings denote the various operations of the Home. 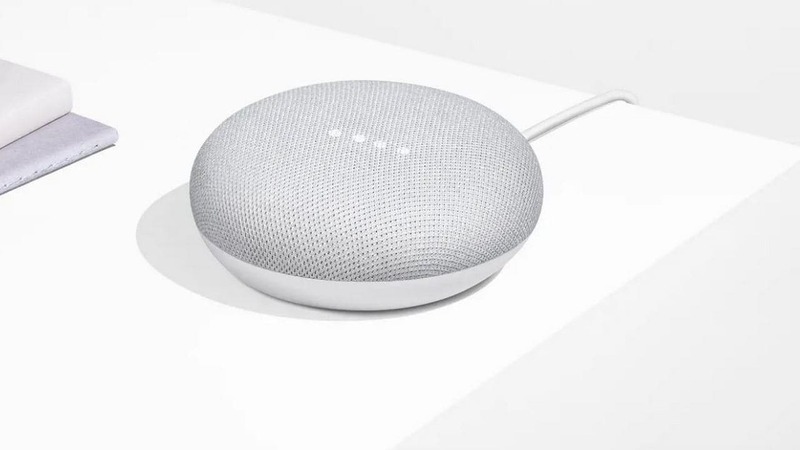 The Google Home Mini is a compact version of the Google Home and can be considered as a direct competitor to the Amazon Echo Dot. The Mini comes in three colours, namely chalk, charcoal and coral, and it looks like the fibre cover comprises the majority of the Home Mini. There are four LED lights on the top, which indicate operational functions. It weighs a mere 173 grams and is 42 mm in height. Just like the Home, the Home Mini also requires a power connection and connects to your Wi-Fi networks. 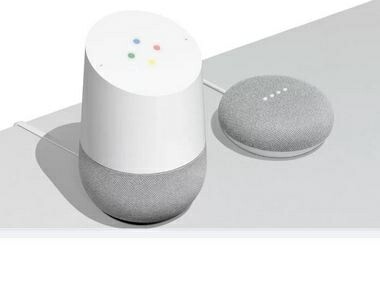 Due to the size, the speakers housed inside the Mini aren’t that powerful, though it can do all the other voice-related tasks that a Google Home can do. Both the Home and Mini are compatible with Chromecast. The new features on the new Home Devices include the ability to recognise people by their voices and to customise the experience for that user. Users can now use Google Home devices to initiate hands-free calling from their numbers. The device can initiate a call through the mobile number of that user, and if a person is mentioned, pull up the individual from the contact list of the user who made the request. Google Home has expanded functionality that now allows you to preload a series of functions that get triggered by a single command. These are called routines, and saying good morning or good night can trigger a series of events. For example, after you say "Good Morning", Google Home will pull out information from your calendar, set connected smart home devices to appropriate settings, read out the weather information and even play a "get out of bed" playlist. The Google Home devices connect to over 1,000 smart home devices. 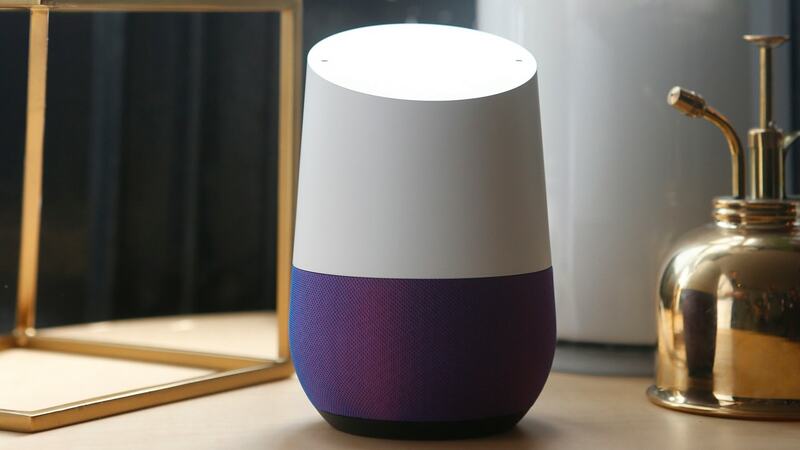 A number of Google Home devices in various rooms can work together to, say, play the same music throughout the house. A broadcast feature triggers the routines in all the Google Home speakers in the home.